I spent the summers of my teenage years helping out at my dad’s winery. This was far less glamorous than it would seem and it was more about getting down and dirty than about sipping wine on the balcony. In the first years, I used to help out at the vineyards, actually picking grapes, a much less romantic experience than most people think. We would start off really early in the morning, before the sun would come up, to avoid the midday summer heat and would be out at the vineyards well before my ideal breakfast time. Picking grapes is a rather menial and very physical task that requires you to kneel and bend over to reach under the vine leaves, not a very rewarding experience. To top it all off, we had to carry the buckets filled with grapes to the tractor and then empty them to go back to the vines. It was fun, because I did not have to do it for a month straight 8h a day. It is because of all those summers that I grew bored of eating grapes. When I got to a certain degree of maturity, at the tender age of 16, my dad “promoted” me to machine operator, or so I liked to think. 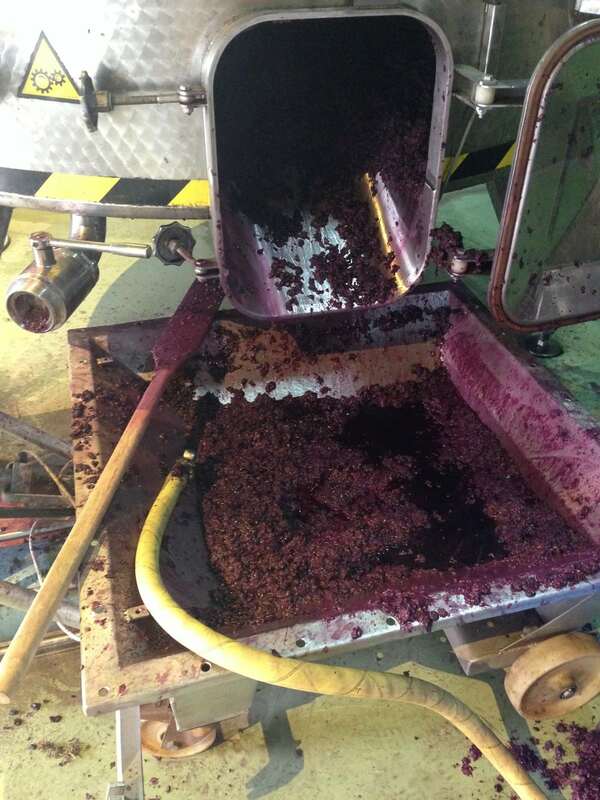 My job was then to make sure that when the grapes were received they were weighed properly, a sample of the juice was taken so the grade of alcohol content could be measured and that the grapes were squashed and placed inside one of the large pressing machines. Payment was being calculated based on weight and alcohol level so this was indeed a very critical task. After a couple of years on the scales, I moved up to the large machinery and equipment used to crush the grapes to make the wine. I would be in charge of filling up the machine and start the program which would extract the juice out of the grapes. This was all for the making of white and rose wines. I was never upgraded to taking care of the red wines, partially because I was already working by the time my dad had perfected the skill. Every September I would go back to school with slightly dark, dirty-looking dyed hands the product of being in contact with red grape juice. If you ever want to know what I am talking about make red grape juice and dip your hands into the bowl, you will see that your skin gets immediately tinted with the grapes tannins and that is not something you can wash off, although copious amounts of lemon juice helped. Wine making was always a very traditional and historical affair to me. My grandpa made wine for his own consumption and there had been vines planted in my dad’s property well before I was born. We had one of those old wine press machines in the garden, it was a real one, not something made for decoration, and the basement of the house was made of the old tiled underground deposits used to store wine before refrigeration was an option. Since I grew up in the Penedes region, a predominantly agricultural and very wine and cava focused part of Spain, phylloxera and other wine related topics were general knowledge topics. Every summer, the roads would be filled with tractors carrying grapes to the wineries and people picking grapes. It was all, very appropriately Old World to me, the sort of thing we, in Europe, used to do. At history class we would learn of the Roman’s making wine, bring it all one level up in the mystical world. Funnily enough, I only started consuming wine after I left home. Having it available breakfast, lunch and dinner every day never tempted me too much. I was happy with water. We tried the wines every harvesting season, and I obviously had some, but it wasn’t a daily habit. As my travels started to take me to far-flung places like South Africa I developed a new appreciation for New World Wines. South Africa has perfected the art of wine living and the wine production areas around Cape Town are not only beautiful but also a fantastic way to escape Joburg’s dangers so I went there several times while I was living in Joburg and this kicked off a renewed interest in the industry. Later on I have visited Napa and Sonoma on several occasions and also the Barossa Valley in Australia, Melbourne’s Yarra Valley, New Zealand’s Waiheke Island and more recently, Thailand’s wineries, a revelation in themselves. I found out that wines were made in Thailand through a friend but it was only a couple of years later that the intention materialized and I made it to Khao Yai’s Wineries. The beginning of a love affair. 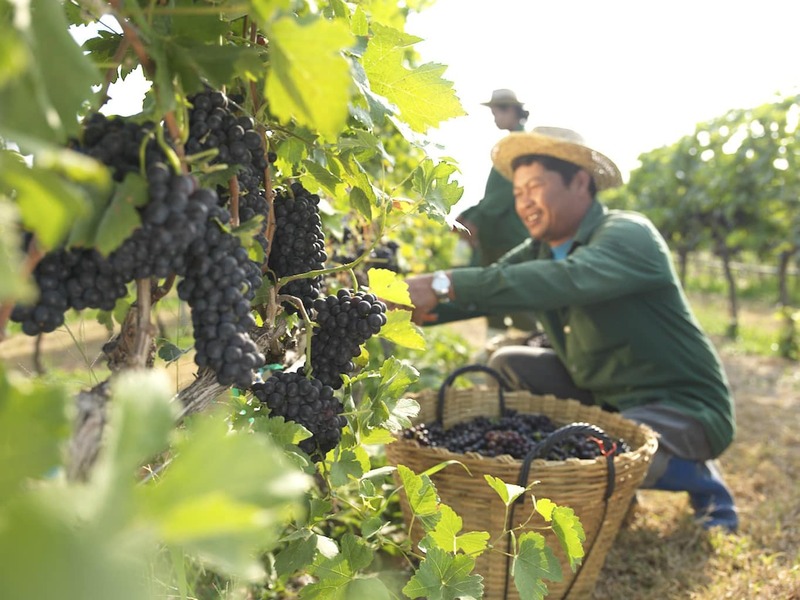 Thailand’s wine making history started in the late 90s when two wineries, Chateau de Loie and PB Valley, started to plant vines in a terroir that was previously considered unfit for the production of wine. It was about a decade later when the first vintages hit the market and others followed suit. There are about 5 relevant wineries in Thailand which can be visited. 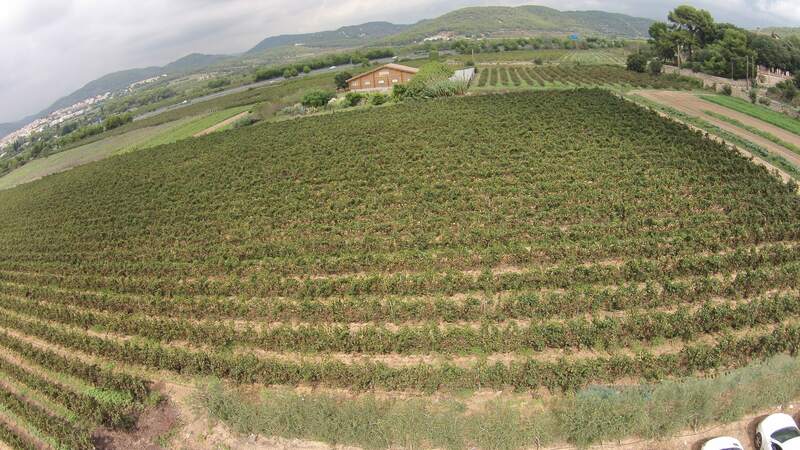 These are spread across three main areas: Chiang Mai to the north, Khao Yai near Bangkok and Hua Hin to the south all of which grow tempranillo and chenin blanc grapes, the ones which seem to have best adapted to the Thai soil and weather. Visiting the vineyards and wineries was a revelation that brought back a lot of memories from my childhood. Especially since Thailand grow primarily two types of grapes: tempranillo and chenin blanc, the first one being a native Spanish variety we had a lot of at home. In Spain, and in Europe as a whole, wine is severely regulated and the believe is that the terroir will show its character and personality if let to behave wildly. That is why watering the vines is not an option, even an insult to some. In Thailand, as in many other New World and New Latitude Wine regions watering is embedded in the way wine is produced and a skill to be perfected. Too much water and an early rainy season may spoil the entire vintage. Back home this would be unheard of. I grew up in vineyards that had nothing done to them, they were organic, in the traditional sense of the word. It was not that there was an intention to create a marketing gimmick or to be closer to nature but that the practice of using pesticides was simply not there. We would not even grow the vines along lines but let them sprawl, their branches collapse to the ground under the weight of the produce. The vineyards were planted with the occasional fruit tree, to refresh the soil and to add a great summer day out. I used to climb the cherry and apricot trees an eat my heart out of these two juicy and sweet fruits. 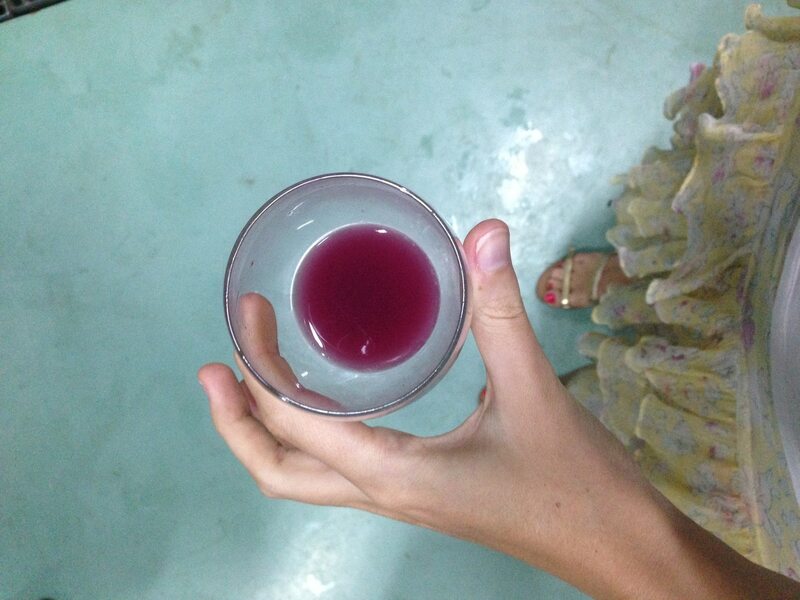 Thailand’s winemaking was different in some ways but very similar in other. 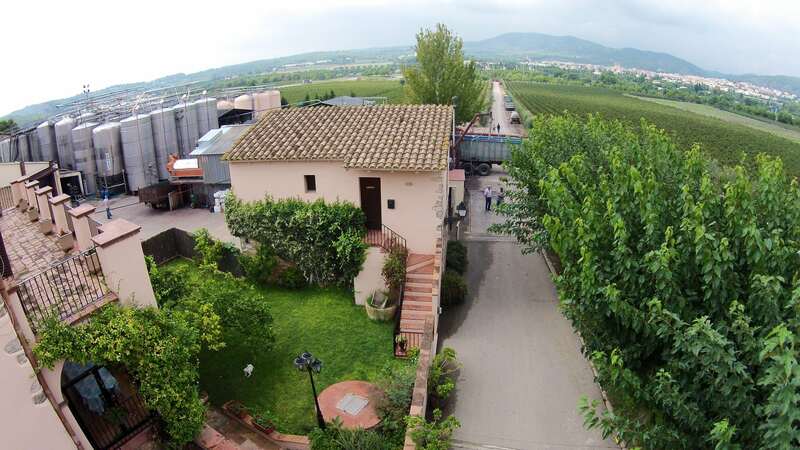 The wineries looked the same, the good old Italian machinery taking over this sector, and the feeling of walking among barrels filled with the precious gold from the season banging under the pressure to keep the wine refrigerated. New Latitudes Wines are a well established if totally unknown concept still but, like New World Wines proved, one that can easily spread and being a new breed of winemakers challenging the status quo and the very roots of nature. Stay tuned, they are likely to start making waves soon.